How many days will it take to deliver? No, All the prices are fixed. So, we don’t offer any discount. Why don’t you have any outlets? We are strictly into Bulk Supplies. So, for single stone customer, We have our online webshop where everything regarding pictures of the gemstones and certificates are shown there. Do you have Cash On Delivery facility? No, We don’t COD facility because Astrological gems fall under Precious goods category. Which are never available on COD. I have never done this before; How can I purchase gems through the web? What if I am in Europe or Asia or Australia? It’s all very simple. You can purchase your chosen gem(s) from the comfort of your home through our secure, encrypted, on-line order page. On each gemstones page, there is an “add to cart” button for easy purchase. That is it. Do not worry. The purchase system is very secure! We accept Visa, Mastercard, American Express, Discover, personal checks, bank drafts and money orders in US dollars. We send by insured mail, registered mail, FedEx or Express Mail, insured for the full value within the USA. For countries outside the USA, we send International Express Mail insured for the full value. You have 7 days trial period. For Overseas orders, we are more flexible if that is the case. Usually our customers get back to us within 2-3 days with a complete satisfactory answer. Why prices can vary so much? I have found some similar gems at a considerably higher price. Why is that? Overheads of sellers. If a seller has huge overheads (many employees, huge rental space, etc.) prices will be much higher. At that point, you do not pay anymore the real value of the stone, but you pay him to stay in business. From who you bought the stone. Even at origin, some cutters/dealers are known to have higher prices than others (for the same quality). And so, along the passing hands chain. Buyer beware that 99% of sellers hide behind their “you get what you pay for” lie. A smart and alert buyer, even acknowledging that it is true, knows that some, fewer business people are more ethical than others in choosing, representing and selling their products. Do not get fooled by “if it is more expensive, it must be of higher quality”. Get more knowledge and more prices of what you intend to buy. If these gemstones are of higher quality, do I have to pay a premium for such gems? You have come to the right place for this answer. No, not here. Our prices are strictly wholesale. In addition, to provide astrological, untreated, natural gemstones to people, our other clientele consists of some jewelry stores and dealers. We travel directly, yearly, to Sri Lanka for untreated sapphires, to Colombia for emeralds, to Torre del Greco (Italy) for coral. We have established the better, overseas contacts in terms of fine quality combined with best prices. And we are proud of this! How can we trust you that you won’t cheat? We are working in this business for past 15 years. We have more than 2000 jewelers under our belt. A jeweler will never tie up with a new or a fraud company. Besides When a company deals online, It is addressed to the whole world and not just a small area. So they’ll have to maintain the rapport of their brand which automatically leads to Good faith. Is there any resale value of your stones? Gemstones are natural products and All natural products are degradable in nature.So, there is no resale value of any gemstone. If anyone is offering you the resale value, there might be a chance that you are getting a used or synthetic stone. Will the standard quality stone work? Yes, it will as all the stones are of astrological grade. Are your stones authentic? What is its authenticity proof? Are they IGI or GIA certified? Yes, These stones are certified from Gemlab Laboratories. 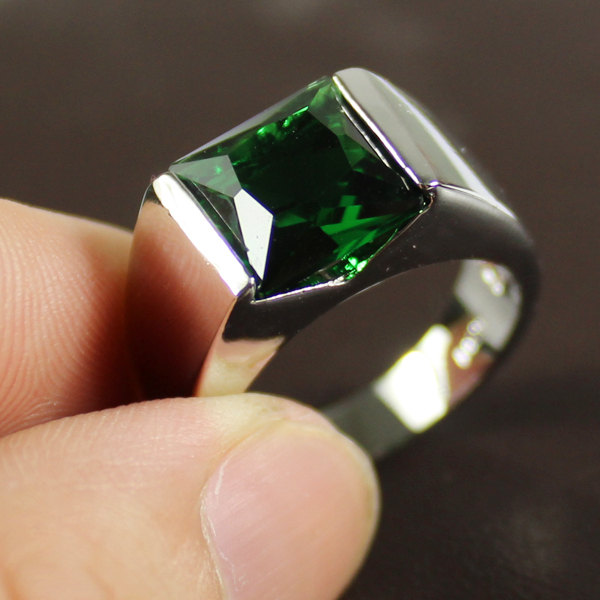 We will provide a certificate for the authenticity of the stone from Gemlab Laboratories. You can go to IGI or GIA for checking the authenticity of the stone. We don’t provide any other certifications. Have you performed any treatment on your gemstones? No, these stones are strictly unheated, untreated and astrological gemstones. When a gemstone gets heated, it loses all of its naturality. Hence, rendered completely useless for astrological purposes. So, All of our stones are strictly undergoing the parameters to maintain their neutrality and their powers. What is the difference between big ratti and small ratti? Since when will I start getting the benefits after wearing the stone? Stones takes time to work. These are not magical wands that will start working overnight.Besides, it depends more on your positive vibes. If you stay more positive and focused, you will feel the benefits quite sooner than you realize. I don’t know my birth time. Is there any gem or good luck charm that I can wear? Yes. There is a talisman that everyone can and should wear. This is the nine gems talisman or Navaratna. During the past Vedic civilization, kings, queens and high priests have been worn this beautiful jewel to achieve personal success and divine leadership. Nowadays, many people that are already wearing their personalized Jyotish gems, use the Navaratna to maximize more their energy fields and achieve more happiness and success in their daily life. Are Planetary Jyotish Gems really powerful? Based on our own experience and the experience of our customers, a Jyotish Gem can really transform your life. An evolutive energy will enter your life in such way that all your thoughts, actions and achievements will be maximize. The natural result will be greater happiness, satisfaction and more support of natural law (good luck) in your life. What is the difference between astrological Gems and the gems that are sold in jewelry stores? Are not they the same? No, they are not the same. Jyotish Gemstones have to be unheated, untreated and undyed in any way. Nowadays, 98% of the traditional market gemstones are subjected to treatments, which include color enhancing by heat, radiations or diffusion, dyeing and fracture filling for cosmetic improvement. Untreated gemstone is of higher quality than the gemstones you will find at your average, local jewelry store.